‘The Savage’ steps up to the plate at short notice after an injury forced Sheffield’s Kell Brook to withdraw from his World Super-Welterweight title eliminator with Cook. 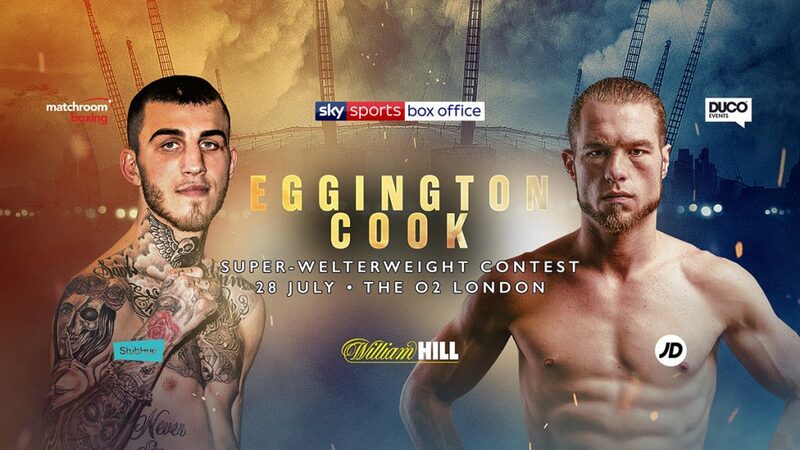 A revived Eggington has made short work of his opponents since moving up to Super-Welter and knows that a win against Canada’s Cook will rocket him into title contention at his new weight. “I’m buzzing to get back to the O2 on a massive PPV show,” said Eggington. “There was no way I was turning down this fight when they offered it to me. Cook likes to come forward and fight so I’m predicting a war, he’s going to try and make it a hard night for me. Face value tickets for July 28 are available from http://www.stubhub.co.uk/matchroom-boxing-tickets/ . StubHub is the official ticket partner and marketplace of Matchroom Boxing and Anthony Joshua.